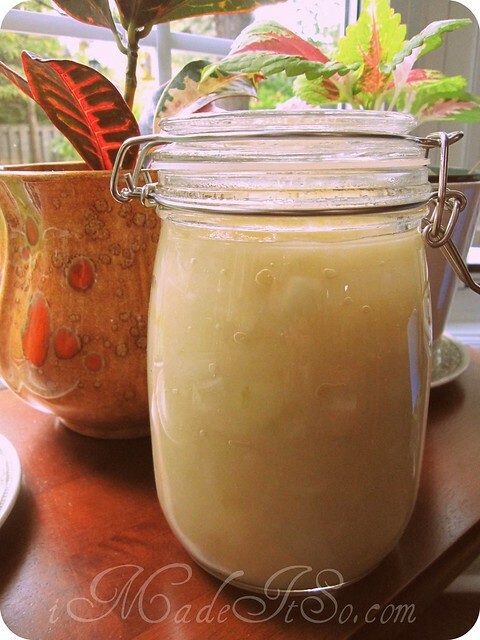 easy apple sauce recipe | i made it so. that’s it. no sugar either. it’s easy, wholesome and fairly quick. i peeled, cored and cut apples to make about 6 cups. 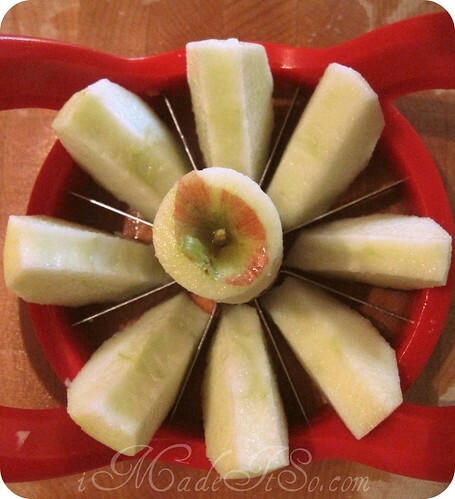 this time i used my apple slicer. i put the apples in my cast iron pot, on medium heat. like i mentioned in the apple crumble recipe, the outcome depends on the type of apple, its water and sugar content. some apples take longer to bake, some stay crisp longer. so use your own taste and judgement, you can add water if it seems too dry, add sugar if it’s too tart. i used a mixture of cortland and empire apples, because that’s what we picked. it took about 15 minutes of cooking. 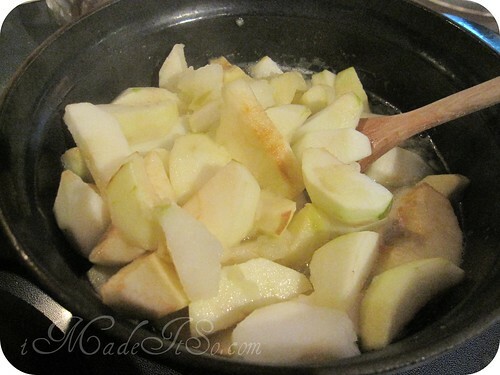 in the past, i’ve had to mash or use a blender after cooking the apples to smooth out the big chunks, sometimes adding water. but this one reached applesauce texture on its own. * add a dash of cinnamon or pumpkin spices (cinnamon, nutmeg, ginger and allspice). * stir in some honey for sweetness. * blend in other fruits for what you see on store shelves as “apple medleys”… blueberries, bananas, etc. * use it as a topping on toast, pancakes, or waffles. 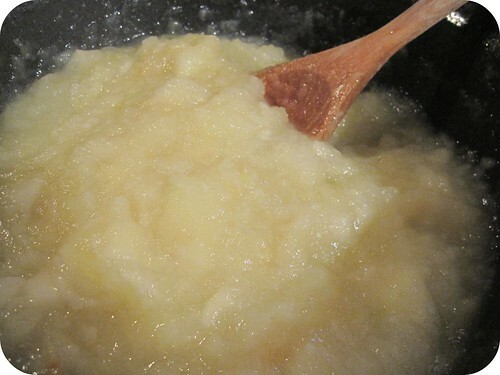 * apple sauce can be used as an oil substitute in baking. i sub it in for most cakes and loafs, it adds sweetness too so i can cut back on the sugar a recipe might require. * i gave some to my neighbour and she put some in pillsbury crescents, rolled and baked them with a sprinkling of sugar on top. pretty easy if you’re not into traditional baking. me, i’ve got a jarful in the fridge (ok, half a jarful now — the kids snack on it). it will keep for about a week. you can freeze it too, or use a trusted recipe and can it. it will require lemon juice or another acid to help preserve it. got any related tips or recipes? share them below in the comments. This entry was posted in in the kitchen, vegetarian recipes and tagged cutting apples for applesauce, homemade apple sauce, how to make applesauce, no sugar apple sauce, spice in apple sauce, uses for applesauce. Bookmark the permalink. oh yum, my boys grew up on stewed apple. hmmmmmm, I like it with icecream. It’s also a bit yummy in a bowl on its own with pitted prunes. lol. I sound a bit like a Nanna now. lol, but it is rather yummy. As for your previous post on Pitbulled, I was getting really worried, I still don’t get it, but I am ok now. lol. I sort of laughed but with a worried look on my face. It was a bit confusing inside my head too. Have a wonderful weekend at your place.